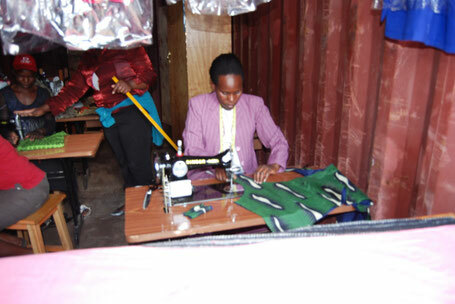 In partnership with Karibu Africa, we started a tailoring project aimed at empowering mothers at Jukumu Letu in Ngong and Bunyore; 10 women were trained. 3 are very active at Jukumu Letu, the rest have managed to either start small-scale businesses or have secured employment. We now fully utilize the services of our trained tailors. We hope this is only the beginning and that others will be trained.